The market of Panama City Beach vacation rentals offers visitors to Florida’s Gulf Coast of Mexico many choices. Some prefer to stay in hotel accommodations while others are looking for more of a home away from home atmosphere. Ocean Ritz Condominiums is perfect for guests who prefer to experience Florida as less of a tourist and more of a resident. In addition, this locale is perfect for long-term getaways as well as family reunions. Built in 1974, this classic Florida condominium offers 22 floors with only three units per floor. This arrangement gives residents and guests more privacy. Onsite management, a receptionist and security are available to answer questions and meet needs. Located on Front Beach Road in the heart of Panama City Beach, this condominium is just a short walk or drive away from shopping, dining and entertainment. Guests are offered free, covered parking as well as a parking garage to keep their vehicle safe and cool. With a convenient elevator providing access to each floor, guests can rent either a three bedroom, three bath unit or a four bedroom, four bath unit. All units employ the innovate technology of keyless entry. In addition, each spacious condo has a private balcony that overlooks the Gulf of Mexico. In keeping with that enjoyable, home away from home feeling, Ocean Ritz Condominiums offers the following free amenities: a large outdoor pool that is partially shaded, outdoor showers to cool off, a hot tub for relaxing, a sauna, an exercise room and a steam room. Additional amenities are offered for a fee. These include daily, mid-week, or every other day housekeeping services; an airport shuttle; beach chair and umbrella rentals; and bicycle rentals. Being in the very middle of the strip, this condominium has a variety of nearby activities that are just a short walk or drive away. Outdoor and sports enthusiasts will enjoy St. Andrews State Park, basketball courts, golf courses, tennis courts, kayaking, paddleboarding, boating, hunting, kite surfing, snorkeling, diving, surfing, horseback riding, shelling, jet skiing and parasailing. Children’s activities include a water park, a zoo and a children’s arcade. Shopping can be done at Pier Park Mall as well as local grocery stores and pharmacies. Restaurants ranging from casual to fine dining are plentiful along with coffee houses and pubs and bars such as the Tiki Bar and Grill. Night time activities include dancing and discos. Guests can also rest easy knowing that both urgent care and a local hospital are nearby. 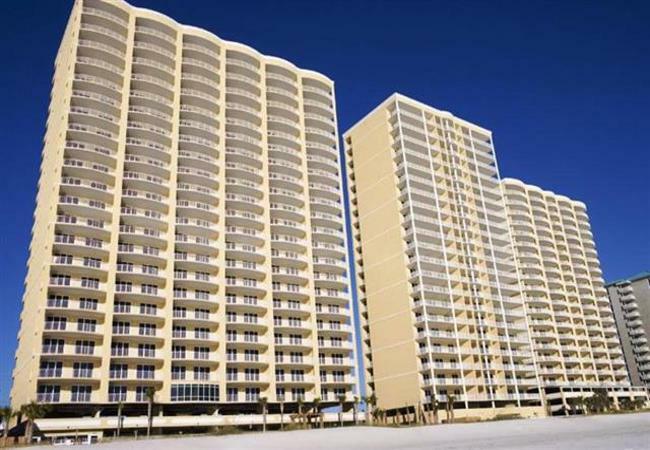 Ocean Ritz Condominiums provide a unique experience among the many Panama City Beach vacation rentals available. Come and experience the life of a Florida resident year after year in Panama City Beach!